Throw out that gross cookware set you’ve been hanging on to for way too long and upgrade to one of these two discounted T-fal sets today. 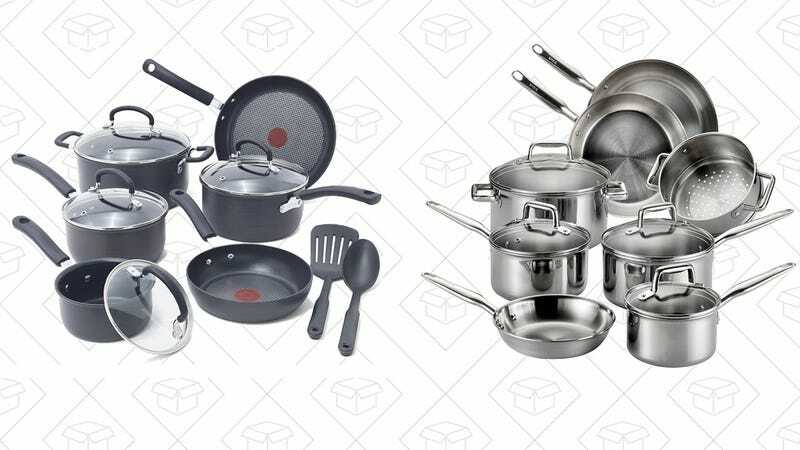 There’s a nonstick 12-piece set for just $59, the lowest price ever we’ve seen since July, and a Tri-ply stainless steel set for just $105, down $45 from its usual price. 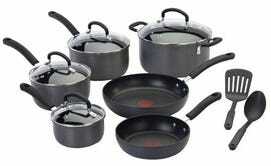 The nonstick set is made of hard anodized aluminum which means it’s built to last and won’t warp. 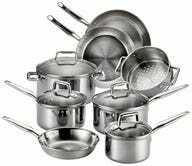 The stainless steel set features tri-ply technology, which means it has an even and rapid-heating aluminum core, and a beautiful stainless exterior, all sandwiched together to create the ultimate cookware set. Happy cooking!